Had i been a less patient and/or wealthier man this whole thing could have been over in a lot less time than two-something-years. Early on i found the book on Amazon for $500 or something like that and i’m pretty sure but not entirely sure that the same copy is still on there now. The few but avid readers of this blog will have learned by now that prices like that are generally of little interest to me even though i’ve been forced to change my ways a little bit as time have moved on. At the time i didn’t pay much attention to this listing though, if it is in fact the same one as back then i did manage to get the price down by $50 or so but it was still nothing nothing that was ever going to happen. So as with a lot of other books i was forced to play the extremely boring and tedious waiting game.However, there was this one thing that surfaced in connection with this book that actually called for action instead of just waiting, and that thing was a book titled Meet Me at the Butterfly Tree written by Mary Lois Timbes Adshead. 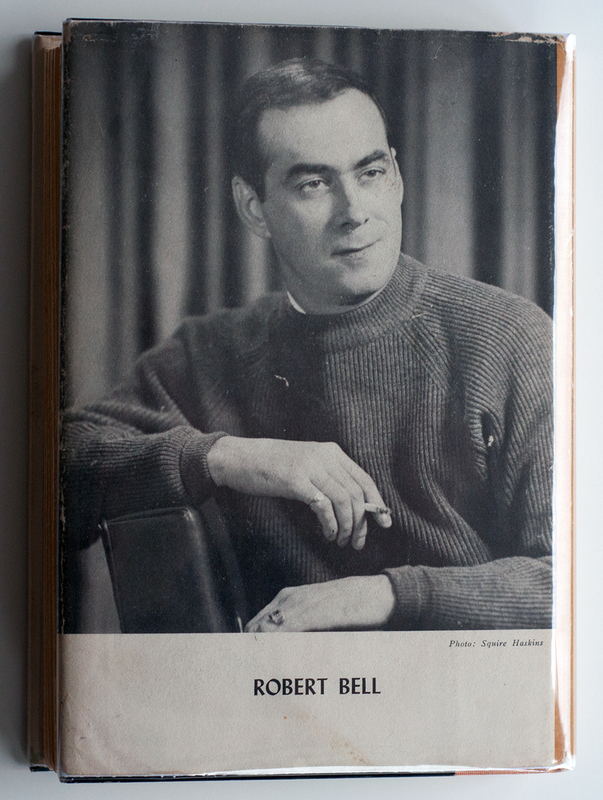 As i was going along with my daily and obsessive image searching this book kept popping up and eventually i also noticed that Robert E. Bell was actually noted as the (co-)author on this book as well. Once i finally got that fact in my thick head i put two and two together and figured that Mary Lois obviously must have known Robert E. Bell in one way or another. Luckily she had a couple of blogs and i was able to get a hold of her email adress and sent out a shot in the dark email with questions and whatnot, of course i was hoping that she would have a whole box of old and prestine butterflies lying around and that i would be able to pick up a cheap copy. Unfortunately she didn’t. But what followed was a fantastic and nowadays very rarely seen commitment and effort on her part in trying to help me in this quest. She has really gone out of her way with this thing, asking friends, and friends of friends, checking used book stores and asking the owners to keep an eye out and if i remember correct even trying to contact Bell’s brother… Quite remarkable to put in such an effort for someone you don’t know in any other way than as a name in an email. Even though she was unable to track the book down for me i am forever grateful for these efforts, thank you so much! It was also by advice from Mary Lois that i found the newspaper The Fairhope Courier. The word “Fairhope” comes up a lot when it comes to this book and maybe i should have gone into it a little bit more earlier but it’s really not THAT important. Anyways, at first i had no idea what is was. Was it a place or just some… thing? I’ve now learned that it is in fact a city in Alabama and to keep the biography thing short and sweet this is where Robert E. Bell spent his summers as a child and as far as i know also where he lived for a time later on in life. Most importantly it’s also the city on which the fictual town of Moss Bayou in his book is based upon. For some reason i got the idea that the book would have been sold primarily in Alabama and the surrounding states. I’m not really sure why i got this idea but i figured that since it was far from a bestseller it would have generated the most buzz and most interest among local people, thus making local book stores a good bet for finding a used copy. Turns out this wasn’t the case, i got a few replies from people saying they had it but all of these were for the reprint published by University Alabama Press. Anyways, back to the Fairhope Courier… I had already played around with the idea of placing an ad in some local newspaper based on the assumption that the book is quite old and most people who in 2015 read newspapers made of actual paper are also… well, old people. I never did anything with this idea though, seemed like to much hassle to place and pay for an ad from halfway around the world. But then this site/magazine came along and all of a sudden the whole thing seemed much easier. After a couple of emails back and forth i ended up with an ad placed on the site, this was sometime back in January/February and i also posted about this endeavour in this old post. I can’t say i expected much from this but as always i figured it couldn’t hurt. What i didn’t count on though was to immediately get sabotaged from beyond the grave. 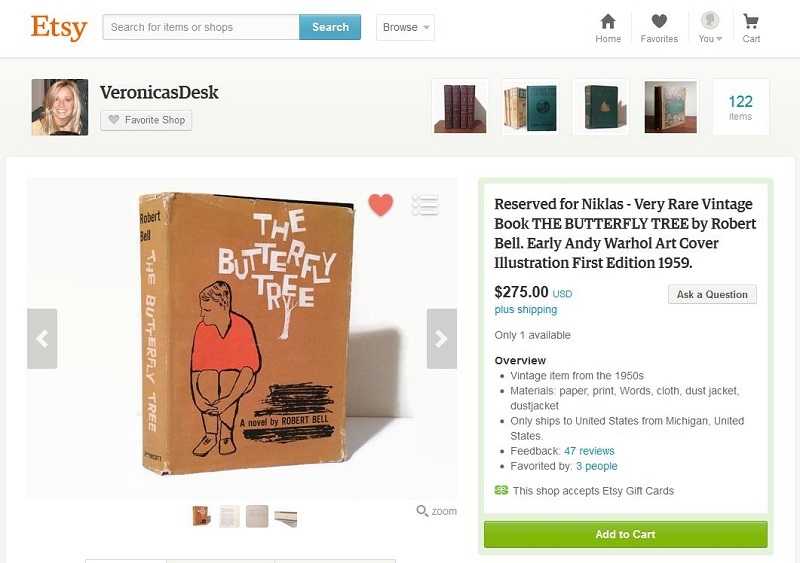 In a matter of days after my post Andy Warhol himself made a comment on the ad post asking “Is that the copy that has a dust jacket drawn by Andy Warhol and is extremely rare?”. Maybe i’ve been incredibly lucky but everyone i’ve ever come in contact with since i started my collections have been nothing but helpful, friendly and very forthcoming. So i guess this thing and this guy is the exception that confirms the rule… This is the kind of douchebag who before class in 7th grade would go and tell the teacher i just spent resess copying some other guys math homework. No personal benefit to be gained, just something done to sabotage another person. I can’t say i lost much sleep over this though. But i must assume this guy will be reading this post as well. So to whoever you are i just want to say that i hope you never find the book. Never. Ever. Ever… Ever. Moving on… to sum up all the crazy adventures i guess i have to mention this attempt at contacting some journalist who interviewed a guy who mentioned the book. Crazy and fruitless indeed…There has also been a similar thing with some guy who mentioned the book in some blog post, needless to say this didn’t amount to anything either. Phew… i think that pretty much covers all the failed attempts so it’s time to get to the good stuff and the happy ending. Subconsciously i’m still working on my post about trying to “rare rank” the dust jackets and i’ll get around to it sooner or later and without a doubt this will be in the top five, at least. Besides the one, or perhaps two, copies that i’ve seen on Amazon this has been a rare sight. Almost rare enough to start coming to terms with the idea of never finding it. But i’ve come to learn that things have a funny way of working out, eventually… As said i placed my ad and contacted all the book stores in late january or early February. I can’t remember the exact dates and things when it comes to what happened after that, but luckily most sites store your message history. And what happened next took place on Etsy. I’ve refreshed my memory with the help of said message history and on March 10 i sent my first message about a newly listed item… I can’t find the first listing now and i might be mistaken but i think it was originally priced at $400 or thereabouts. And what followed was a number of attempts of haggling but seeing as the book was just put on the site the seller, understandably, wanted to wait and see what happened and not just jump on the first idiot who offered just short of half the asking price. The last couple of months have been exciting times on ebay when it comes to Warhol’s dust jackets, but i’ll get to the details of that in a later post. Anyways, this book made it’s first appearance on ebay (at least that i know of) about two months ago and ended up selling for $230. I have no intention to pat myself on the back to much but i think my copy is in better condition than this one so i’m still very happy with what i ended up paying. And i couldn’t have bought this one anyways since there was something else ending at about the same time that i just had to get. But again, more on that later… Hopefully one of those who missed out on my copy was able to get this copy instead. For those still on the prowl who also have deep pockets i can recommend this listing for a signed and very nice looking copy, the price tag isn’t as nice though. However, and this is a big HOWEVER. There are at least four alternative covers for this book that the world has yet see, and in all probability they will remain a mystery forever and ever. 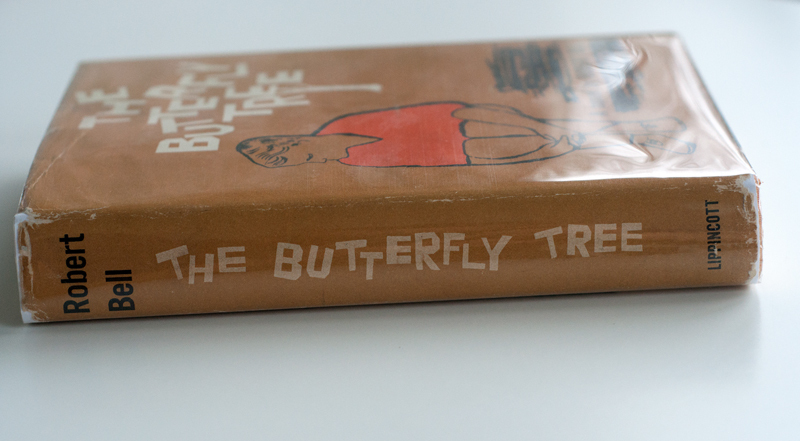 As i recall this was first noted by Guy Minnebach and to get to the how and where we need to once again return to the “sister book” Meet Me at the Butterfly Tree. 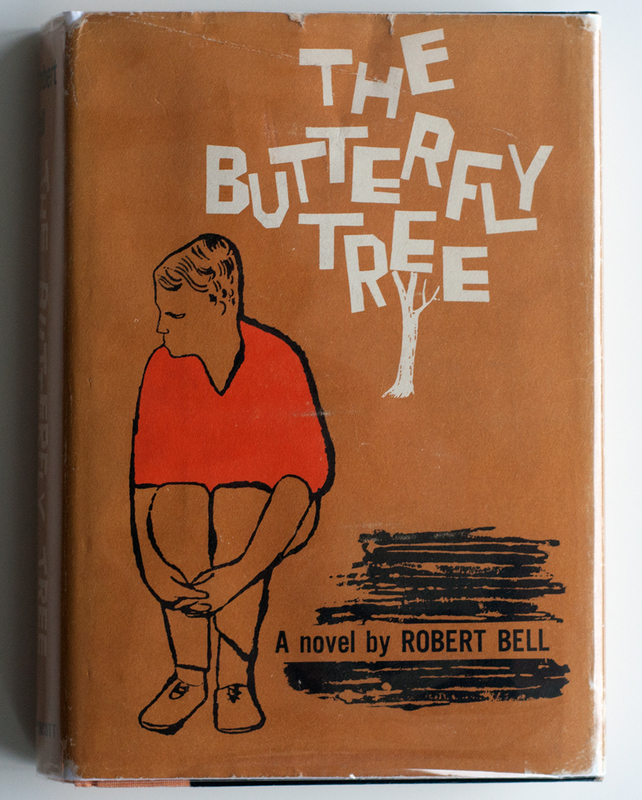 I now have a copy of this book, not only is it a great read but it also uses the same tree design done by Warhol as the original book so if you’re not interested in the book for the sake of reading it i would still get it for that little cover design detail alone. 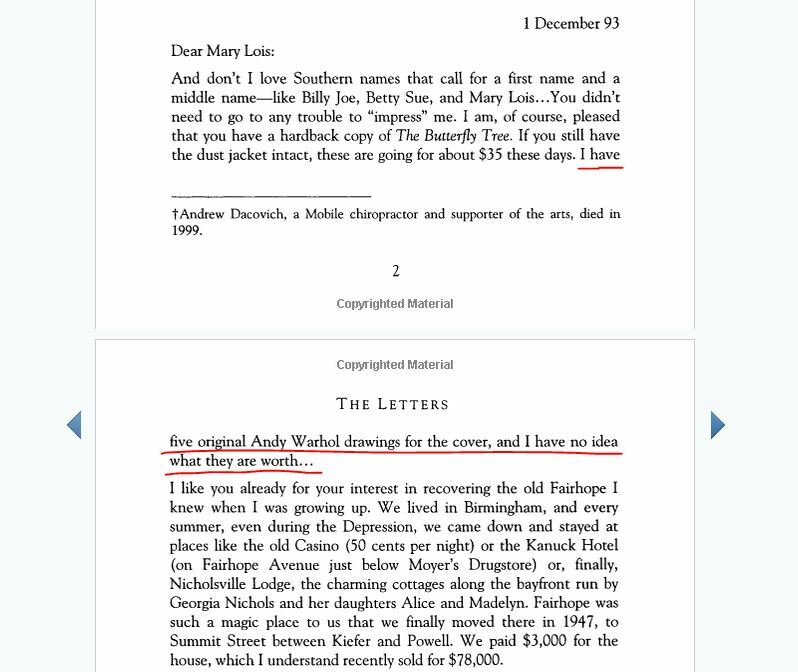 Anywhooo… as said Guy was a little more creative and a lot smarter than me since he used the “Look inside” feature on Amazon and in Bell’s first letter to Mary Lois he mentions that he has five original drawings made for the cover, pretty freaking cool! Naturally this started another quest but nothing of value has surfaced so far… But i would looooove to see these one day, but yeah… i doubt they will ever see the light of day. Where they might be? Well, of course i have no idea but had i been able to i know where the first place i would look would be. Robert Bell passed away in 1999 and if i remember correct it was Mary Lois who first told me that after his death, or perhaps even after the death of his partner Mark Hanrahan in 2009, most/all of his work was donated to The University of South Alabama and that it’s now archived there and the details of this can be found here. I’ve come across similar things like this before, for example the New Directions archives or whatever, and interestingly there are also mentions of Warhol in these “Robert Bell Papers”. More specifically there are entrys/postings/whatever like “Correspondence re: Warhol Collection, 1989 – 92, 1996”, Retrospective: Andy Warhol by Heiner Bastian and Andy Warhol Stamps, Ebay Info”. 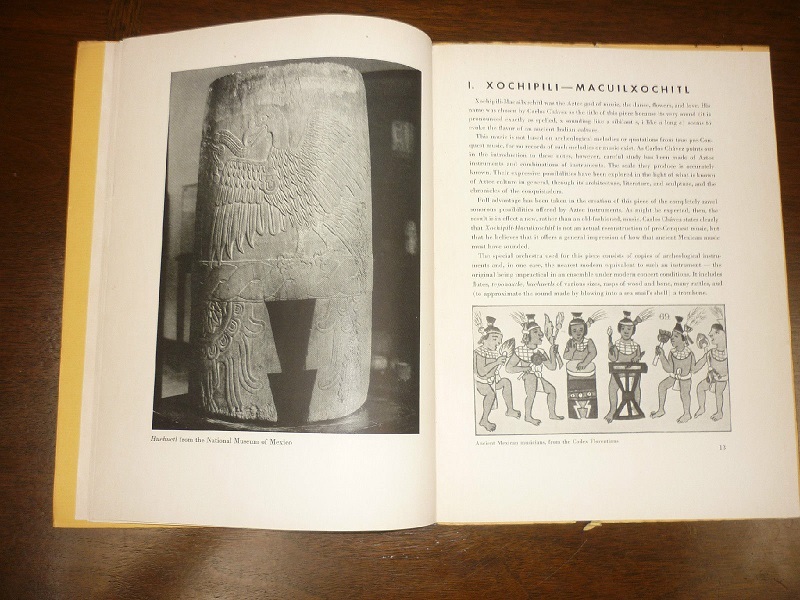 The one in the middle is this book and apparently Bell was also an avid stamp collector and there is an image of the commemorative Warhol stamps among other Bell related items from an old exhibition here. So that just leaves us with the first one… i guess this could also be something relating to a book or something? Whatever the case i doubt the drawings are hidden in that material, but who knows. Lately i’ve not had the energy or time to embark on some new looney adventure but i’m sure this will change soon enough and then stuff like this and the New Directions archives thingy are all highly possible projects. I would assume The University of South Alabama got the bulk of Bell’s work but it seems parts of it also ended up at the Fort Worth Public Library in Texas. The details of the material kept there are less extensive and the only things that are mentioned are “a scrapbook, a novel, and some biographical information”. Oh yeah, what about the book itself. Even though i didn’t get the information i had hoped for from the seller i can still use my eyes and tell that it’s an old library book. And taking that into consideration i must say it’s in absolute spectacular condition. It’s definately one of the best looking ones in my collection, which is quite nice since it’s also one of my favourite jackets. As said it was also one that i was starting to doub’t i would ever get to put on the shelf. And that would probably also have been the case had i not been willing to up my budget a little bit, it’s funny how you somehow and magically get more money to spend as the holes in ones collection gets fewer and fewer… Oh, i’ve also tried to contact Lippincott (which is now Wolters Kluwer as far as i understand) to try and find out how of many of these books that were printed, but as usual i’ve not heard anything back. I just noticed that apparently Wolters Kluwer also owns Swedish publisher Liber, maybe i could try taking a detour via them… Whatever the number of printed books may be i’m still extremely happy that i managed to find one of them and it’s great to finally get to write the post i thought would never be. I don’t really know how to start this post. For a while i was thinking about starting with the famous misquote that is usually credited to Adolf Hitler stating that “If you tell a big enough lie and tell it frequently enough, it will be believed”, or something along those lines… But i don’t know, that might be a tad overdramatic. So let’s start with some basic facts and we’ll get to the sorting out of the legitimacy of this being a Warhol cover later on, at least my thoughts about it… This is a recording of Tchaikovsky’s Violin Concerto performed by the Chicago Symphony Orchestra and with Erica Morini as lead violinist or whatever. 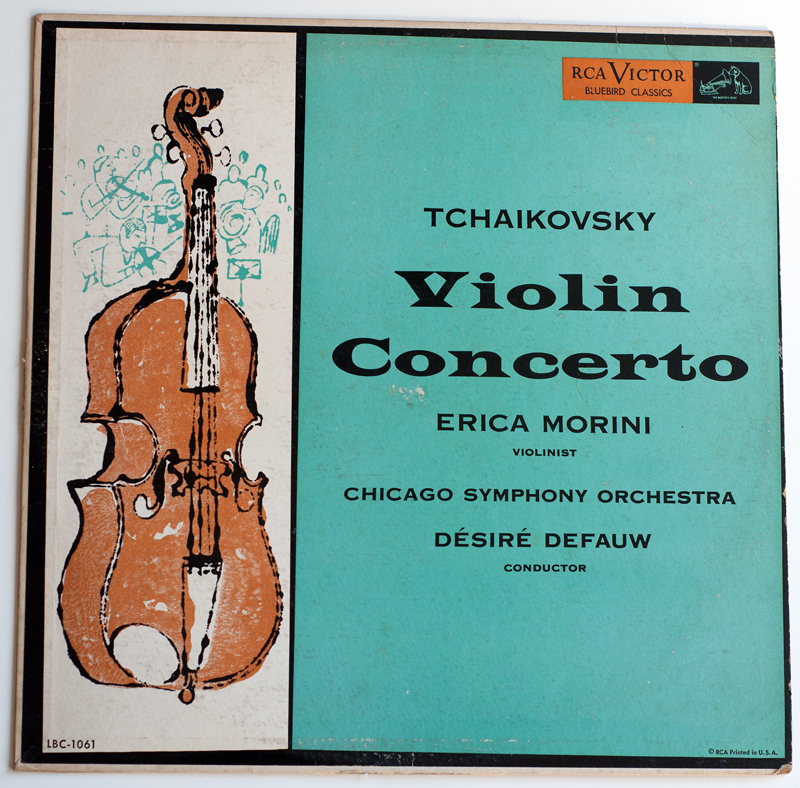 The music was written by Tchaikovsky in 1878 and is apparently considered one of the most technically difficult works for the violin, so kudos to Morini for doing such a great job… It was released on the RCA Victor label sometime in the late 50’s, in a couple of the listings i’ve seen the year being put down as 195? and in his book Maréchal has is down as “about 1957”. And this seems about right. When i started “researching” this cover i thought it would be possible to narrow it down to sometime in the late 50’s and more exactly sometime during or after 1957. Why? Well, when it comes to this record you pretty much have mention the Rhapsody in Blue / Grand Canyon Suite album as well as these are intertwined in more ways than one. 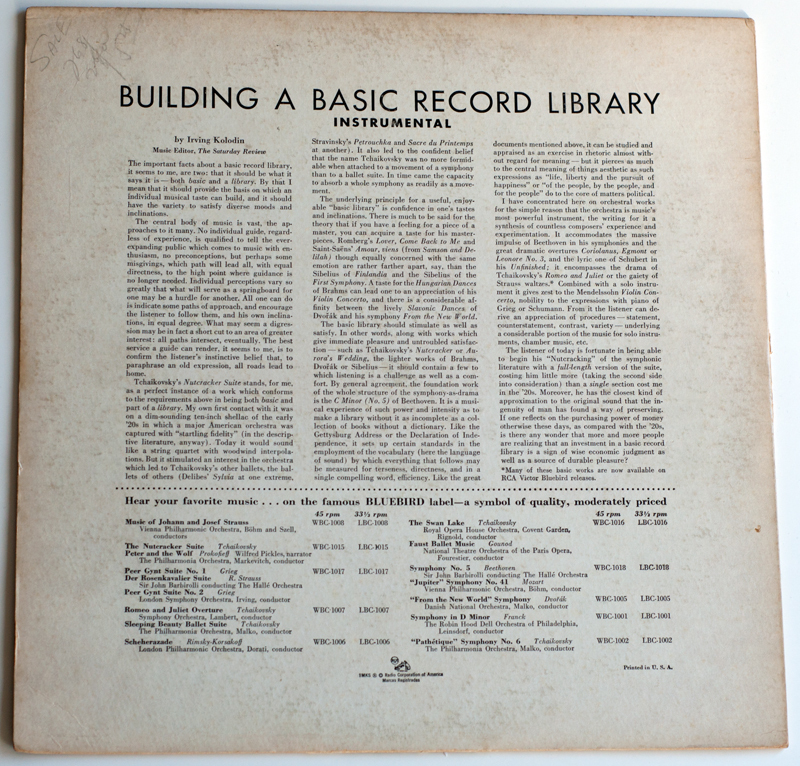 But for starters the Gershwin album was released in 1957 with the catalogue number LBC-1045 and the Violin Concerto is very close to this having been given the catalogue number LBC-1061. I don’t know exactly how these things work but to me this would at least imply that the Violin Concerto was released after the Rhapsody and of course before whatever album was released and catalogued as LBC-1062, and that record seems to be this one here – Glazunov’s From the Middle Ages. 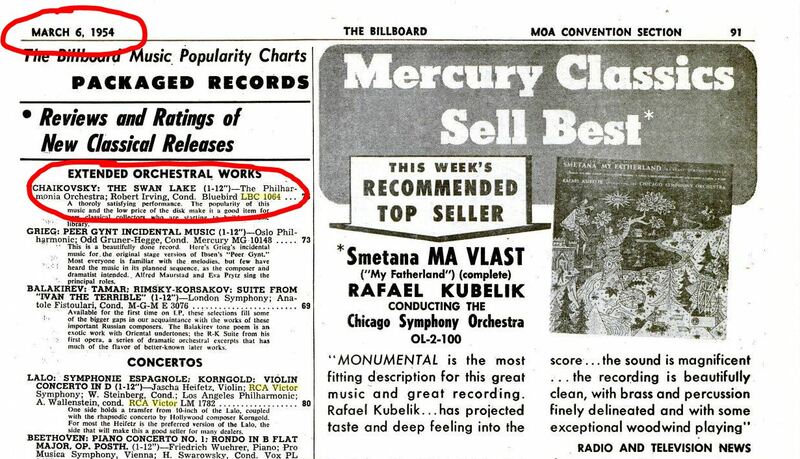 Unfortunately that record also appears to be undated or whatever but on most places it’s listed as 60’s… So, yeah… to say that the Violin Concerto was released sometime during 1957-1959 i would say is a pretty good assumption. At least that’s what i thought at first. As said i don’t know how these work really but looking at this page from an old copy of the magazine The Billboard there is a mention of Tchaikovsky’s The Swan Lake numbered with LBC-1064, and that magazine is from 1954… So i really have no idea what’s going on. It might have been wise to not try and date this and just stuck to the 195? thing… Let’s just say sometime in the 50’s! Onwards and upwards. 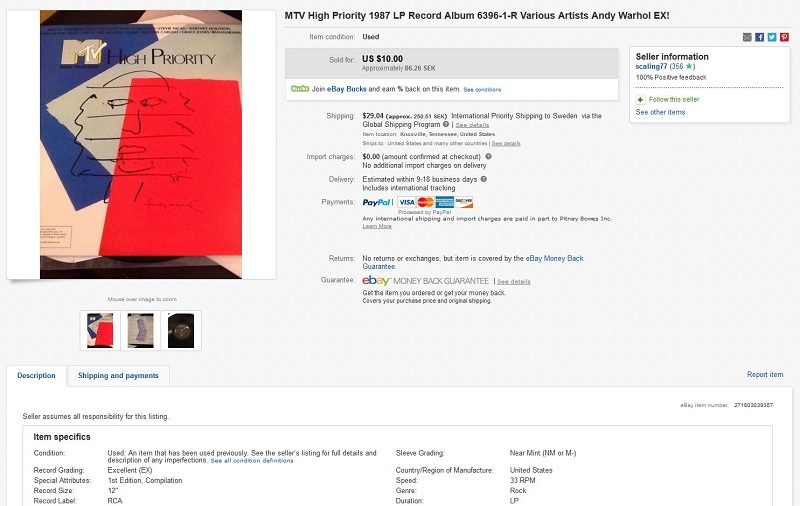 I can’t remember the first time i was made aware of this cover but the first logged copy that i’ve been able to find is this one that was sold at the end of 2009 for $51 and had no mention of it being a “possible Warhol” in the description. Fast forward about six months and we see the first mention of “Warhol” in this listing, and then of course the selling price is doubled closing at $108. Since then things have never really spun totally out of control though. Not even after Frank Edwards wrote his post about it in 2012 you’ll see price skyrocket, so i think there has always been some kind of skepticism about the legitimacy of this cover. And i’ve been part of that crowd as well, and i still on the fence today. I won’t try and force an opinion either way down anybody’s throat but let’s just hang up all “pieces of evidence” side by side and see what they look like. And i’ll also give you my thoughts on what side of the scale everything should be placed… The one thing that packs the most punch is without a doubt that Matt Wrbican has actually signed off on the Rhapsody cover on his blog. And for what it’s worth the cover for the Violin Concerto has been up for discussion now and then in the WCCC and the general consensus is that the drawings on these two covers were made by the same artist. I also can’t argue with what Frank Edwards writes about the unlikelyness of RCA having two artists at the same time on the payroll using the same blotted line technique. So… seeing as some of the most knowledgeable people i know of on Warhol’s work would give this a pass i might be considered a huge idiot for not being totally convinced that this is the case. But i like it when things can be backed up and where something isn’t based entirely on what is basically an opinion. I keep thinking about a veeeeery funny clip in the movie Who the #$&% Is Jackson Pollock? where some expert gives nothing but praise to a modern art painting that the reporter then reveals was done by a 5 year old. And there are plenty more stuff like this, the whole thing about Pierre Brassau from my hometown is also extremely funny. Modern art is of course modern art and perhaps not entirely applicable here but, yeah…. i don’t know. I guess i enjoy hard and indisputable evidence. Anyways, i’m a bit tired today but these two covers are the only two (three if you want to include the cover for Porgy and Bess) i can think of right now that are either not signed nor possible to find similar style drawings and other documentation to validate Warhol’s hand in the design. Before the new and updated version of Maréchal’s book came out i was very curious to see if this would be included. And if it were to be included i was hoping that he would have found something to back it up. 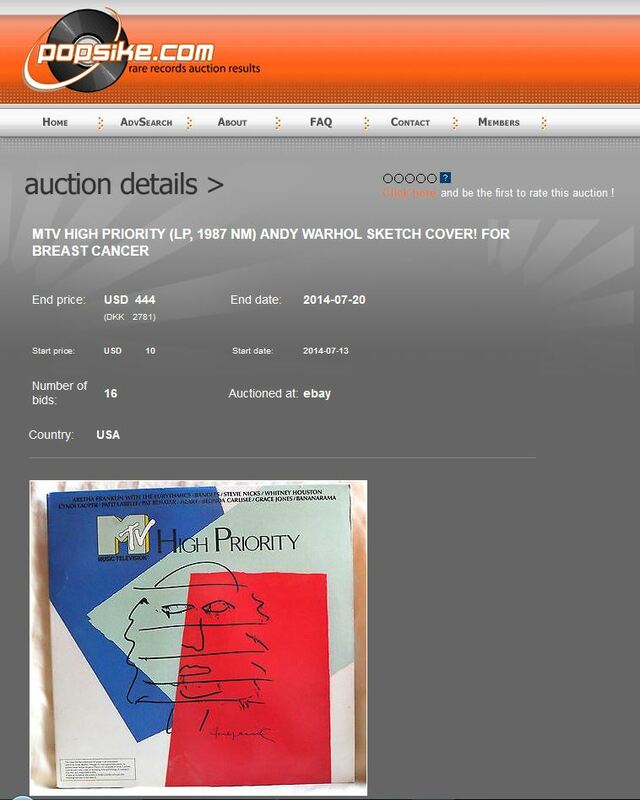 Well… the cover is included but sadly it doesn’t come with anything to support the case that this is by Warhol. At least not something that makes me convinced. He mostly just goes on and on about Erica Morini and her Stradivarius violin… He is even brave enough to claim that not only did Warhol do the drawing of the orchestra but that he is also responsible for the big violin. 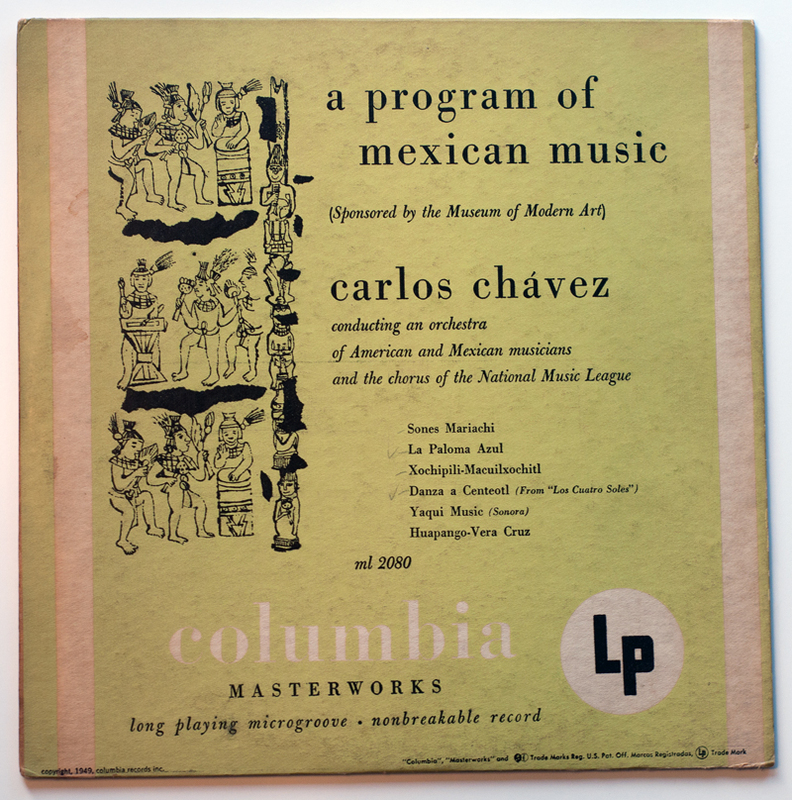 Personally the interesting part of this cover has always and only been the guys in the background jamming away, i’ve never considered the violin to be Warhol’s work… But as i’ve said many times before – what do i know and i would still score poorly in a “recognize-Warhol’s-style-contest”. And even though i am not (and probably never will be) absolutely 100% convinced that this is a true Warhol cover i of course accept that it is now certified or whatever… The thing that has kept me skeptical is that i really haven’t seen or been able to find other drawings by Warhol’s that are similar to these. I guess the guitar on the cover for the Madrigal records is somewhat similar in detail and so on, but i don’t know. It just doesn’t sit right with me… Anyways, i got this on ebay a couple of weeks ago on a second-offer-chance-thing and condition wise i’d say it’s pretty good. There’s the usual couple of smaller issues but all in all i can’t complain. As said this is now in Maréchal’s book and regardless of what opinion i or anyone else might have about the cover or the book it does carry a lot of weight for collectors and the inclusion does grant it the “Warhol cover stamp”. I’m going to try and set the mood for this. And i realize that since the title of the book is also the title of this post it’s perhaps not the easiest thing to try and build suspense and anticipation… But let’s try. In lack of a better song and even though it’s pretty overused or whatever go set this tune on repeat and then continue reading. This is a pretty big deal for me. Why? Well, this will most likely be the closest i will ever get to post something “new” and previously unknown. It’s not entirely unknown though, but i’m pretty sure that to most people interested in this stuff (which seems to be an entire handful of people) it will be news in one way or another. 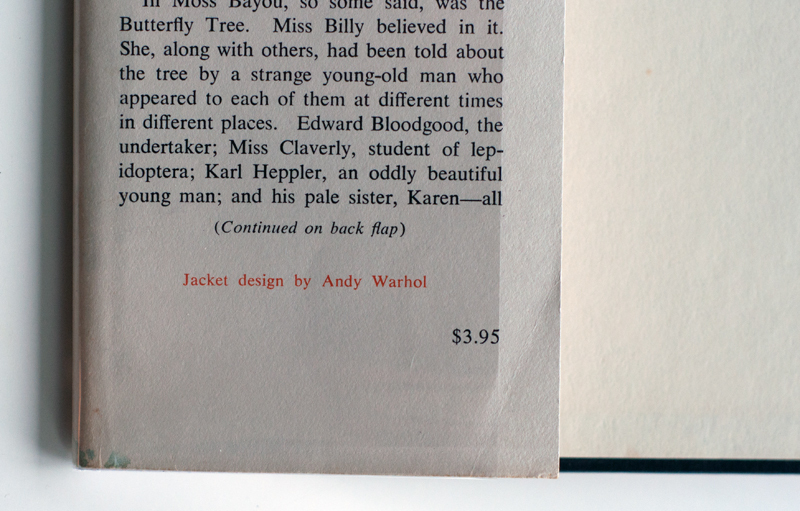 This book is not mentioned anywhere in any of the articles and stuff which feature this area of Warhol’s work. 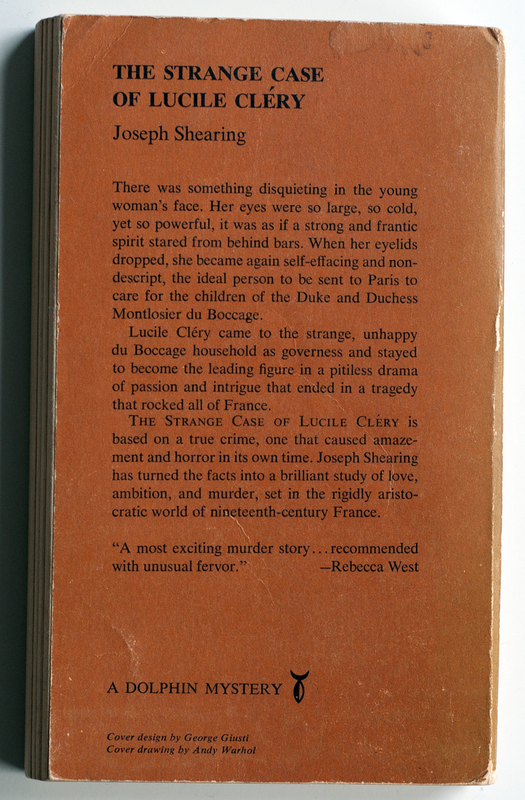 It’s also not mentioned in the catalogue for the exhibition Reading Andy Warhol. It is however on display at the current show Warhol by the Book so to those that have been to see that great show i guess it’s not really news. My dream of finding something totally new will have to live on though because sadly this wasn’t my discovery. And i believe in giving credit where credit is due and as with a lot of other things i have to thank Guy Minnebach for giving me the heads up. As i recall he found it on ebay where it was listed together with the words “warhol cover” and eventually got it for chump change. At the time i was pretty amazed that i had missed it considering all the saved searches i keep but i guess one can’t keep track of everything all the time. Anyways, i was going through some old emails and oddly enough it’s pretty much exactly one year ago that i found out this book existed. I got an email from Guy about his find on 6/5-2014 and even though i found it about a month ago it wasn’t until a couple of days ago that i finally got to hold it in my hands. There are plenty of books that i have spent a lot of time looking for but nothing compares to the time spent on this one. I really have spent a HUUUUGE and almost unhealthy amount of time looking for it so to finally find it was almost a surreal experience and a pretty fantastic anniversary gift of sorts. Where did i finally find it? Well… i wish there was a great and exiting story here but there really isn’t. One afternoon during one of my OCD checks of my wish list on Amazon it was just there… There are a couple of different editions of this book and as usual in these cases i thought that the seller has just incorrectly listed one of these other editions under the one i’ve been looking for. And even though it was listed under the Doubleday edition and had the correct cover image the image shown was an old one that i recognized all to well. This image was uploaded by some woman that i actually stalked and contacted more than six months ago only to find out that her copy had been sold as part of a big collection and that she had only uploaded the image for some reason. Anyways, after just a quick look and seeing as the description featured the word “Dolphin” it became obvious that this was actually the real deal and after a couple of skipped heartbeats followed by my usual fumbling and panacking with the phone i had placed the order. Since this has basically been my biggest unicorn to date i didn’t bother to waste time waiting for images and even though the description featured wording like “cover has bumping, scuffing and dust smudging… lightly tanned” and so on i pretty much had to take a chance and jump at the opportunity. I must say that a lot of sellers of these paperbacks are pretty conservative in their grading of the books. But i can’t complain, without a doubt this looks pretty damn good for a +50 year old paperback. So… what do we have here? 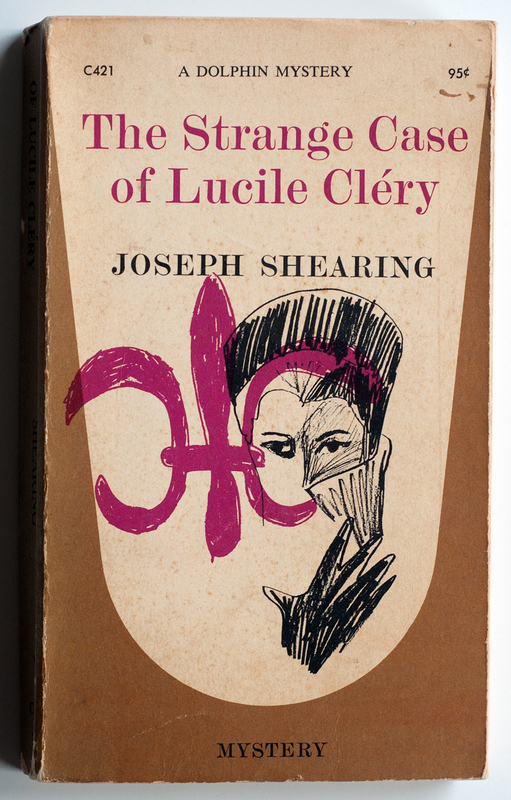 I guess this is pretty self-explanatory but the title of the book is The Strange Case of Lucile Cléry and it was written by Marjorie Bowen under the pseudonym Joseph Shearing. I did not know of this author before this but it seems she enjoyed writing quite a bit and also kept herself busy doing it considering her total output exceeds 150 volumes/titles or whatever… This was originally published as Forget-Me-Not in 1932 and as said there a couple of other editions among which the edition published by Pocketbooks in 1949 is the one that has pretty much always been the one i’ve been sent images of when asking sellers about copies listed without any mention of the edition or year and so on… Anyways, the edition that is of interest here was published in 1963 by Doubleday on the imprint/printer’s mark/colophon or whatever it’s called Dolphin/Dolphin Mystery. This will also not be the first time that i have to say that i don’t know anything about this design. But unlike a couple of other books where i’ve been able to piece things together i’ve not been able to find any information about this whatsoever, nor have i been able to find any similar style drawings by Andy Warhol so this is pretty cool. And once again i’ll also have to say that i would never ever not in a million years have looked at this book and thought that the drawing might have been done by Warhol. I do know one thing though that is pretty interesting. And that thing is a guy named George Giusti and this might actually be worthy of a future and more detailed post but anyways… The credit on the back of this book states “Cover design by George Giusti, Cover drawing by Andy Warhol” which is exactly the same as on Manon Lescaut and The Red and the Black, both of which were also published by Doubleday/Dolphin. I haven’t found any good information on this George Giusti other than that he was inducted into the Art Directors Club Hall of Fame in 1979 and that if you image search him you will find a ton of stuff. 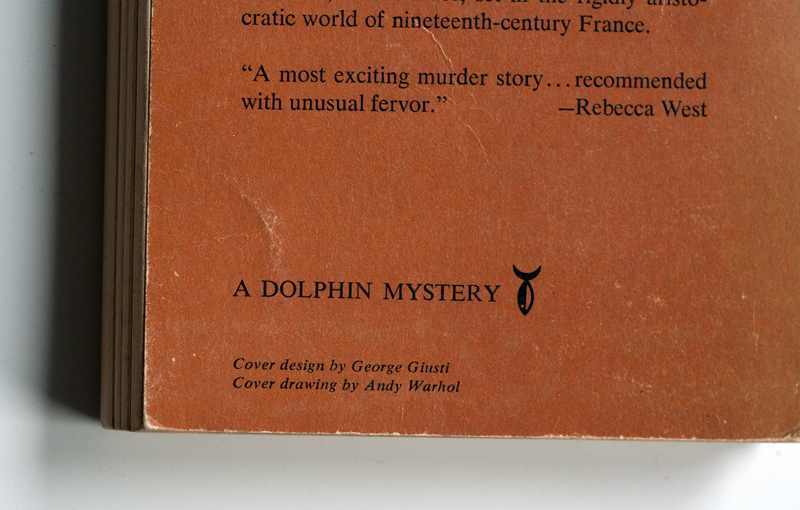 I have no idea if there was any kind of business or creative relationship or whatever between Warhol and Giusti during this time but i would guess that Warhol was just asked to do a drawing for a cover and that Giusti was in charge of cover design at Doubleday at the time or something along those lines. It is pretty interesting though, and of course it’s far from a crazy thought that if there are three books, hey… there might be four. Or five. Or any number of others… For anyone getting the same thoughts i can save you a lot of time and effort by saying that i have already spent countless hours staring at images on Google. And i will most likely continue… Don’t take my word for it but there are no obvious others that i have found so far. As always i need to say something about the condition and all things considered it’s pretty spectacular! There is some minor smudges and things like that but the binding is solid and not much else to mention. Naturally i would have settled for a copy in any kind of condition but to be fortunate enough to find one that’s in as great shape as this is pretty thrilling! And even though i’m still trying to do this thing on a tight budget i would have payed a lot for this book had it been necessary, so i’m almost embarrassed to say that it only cost me $11, poor seller… I don’t want to sound like more of a dork than i probably do but once i opened the package i held this in my hands like it was a newborn baby and just stared at it while my better half was doing an equal amount of staring at me asking what the hell it was that was such a big deal about a stupid book… But anyone into any kind of collecting can probably relate to the feeling of finally seeing that “holy grail item” sitting there on a shelf, and it’s a great feeling! But it also leaves you (or at least me) with a strange empty feeling. Even though i’ve not spent hours and hours straight looking for this i’ve still thought about this book every single day for almost a full year. And as with any race it’s of course extremely satisfying and a lot of fun to finally get to the finish line but at the same time it also leaves you with a feeling of “what now”? Luckily i do have two more books that i need to find. In a way i’m dreading the day when i have all of the dust jackets and might have start looking into starting collecting magazines… That will not be good for finances. As said this is featured in the exhibition Warhol by the Book and Guy Minnebach had told me that it would be in the show before it opened and i saw this as both a good thing as well as a terribly bad thing. A good thing because it might raise awareness and finally make the book show up on various sites. And of course a terrible thing because this might also make prices rise to where i could not get a copy. The show has not been on for that long but so far it seems i was wrong about the awareness part but i’m really hoping that it helps raise interest in this area of Warhol’s work and that maybe more copies of this, and the other books as well, will become more available. Once again there’s the feeling of déjà vu… I keep close to 50 saved search thingys on ebay and they say persistence is a fool’s best asset. For a while now this has almost made me show signs of being in the early stages of developing an OCD. I’ll check them when waking up in the middle of the night due to my daughter yelling or crying in my ear, first thing in the morning and then a couple of times during the day when there is nothing else to do. I’m not sure why i do this though. The chances that one morning there will be a The Nation’s Nightmare or something like that with a BIN of $50 are pretty slim. But i do it for the same reason people play the lottery or bet on horses i guess. And i regularly do both of those so… Anyways, now and then something happens that kind of makes it all feel worth while. And this morning was one of those times. I don’t particularly like the cover to MTV’s High Priority and this is not the first time i’ve mentioned that. And things haven’t changed, it still feels sloppy, unpolished and unfinished to me. So all this considered it was basically at gunpoint that i decided to eventually get a copy. Then i believe it was Kevin Kinney from the WCCC who broke the news that there was also an “alternative” cover with a slight difference in coloring. I then got lucky at the end of 2013 when i found one of those yellow copies at a bargain price on ebay. I didn’t keep that cover for very long though as i sent it to Richard Forrest as a thank you for some nice mock-ups of The Nation’s Nightmare, Night Beat and some other things that he made for me. Time went on and i didn’t give this cover as much as a split second of my thoughts until it appeared again on ebay last summer. This time it was without a BIN and despite my thoughts and feelings about this cover i still thought i would buy it, if nothing else just to complete the set. Time to cut to the chase…. as is common practice i was checking my saved searches this morning and among many blue dots there was one next to the one for “mtv high priority lp”. Certainly not the first time this has happened and naturally it didn’t get me all super excited but once i saw what was there my fingers started fiddling all over the phone and i couldn’t click things fast enough… I think it’s a least a bit remarkable that this is now the second one of these i have gotten for a BIN of just $10. However, in all my haste i didn’t pay attention to the shipping cost which was three times the cost of the record, but oh well… you can’t win them all. I don’t know if i should be happy though, and i definitely don’t feel like i just won some kind of lottery. This is still a train wreck of an album cover to me. But at least i didn’t have to pay hundreds of dollar for a piece of crap. And i am a little bit surprised it was still there for the taking, i would assume i am not the only one who has kept an eye out for it. But i ain’t complaining. I have a soft spot for EP’s and singles. It’s neat little format, almost like a CD but still leaves room for some cool artwork and has somewhat of the same feel as an LP. There are some, not a lot, but some EP’s with Warhol covers. Richard Forrest has put together a great list here. Unfortunately most of these are quite rare. And some, like Waltzes by Johann Strauss Jr and maybe also Latin Rhythms by The Boston Pops are more like crazy rare. And of couse, also crazy expensive. I’ve seen a few copies of the Both Feet in the Groove and I’m Still Swinging EP’s here and there, some even at a Swedish internet shop but these were in pretty bad shape so i decided to leave them be. So, apart from the Ratfab single and the different William Tell records i think this is my first Warhol EP. That’s not mentioning some of the mock-ups i got from Richard Forrest though. This has been on the shelf for quite some time. I think i got it sometime last summer or autumn but i’m not really sure. And i also can’t remember what i payed for it but i think it was somewhere around $20-25. I hadn’t really been looking for it at the time and just happened to stumble upon it pretty much by accident. I haven’t been following this record since then either but there is one copy on ebay right now for a BIN price of $30, so it would seem i neither made a great deal nor got ripped off. 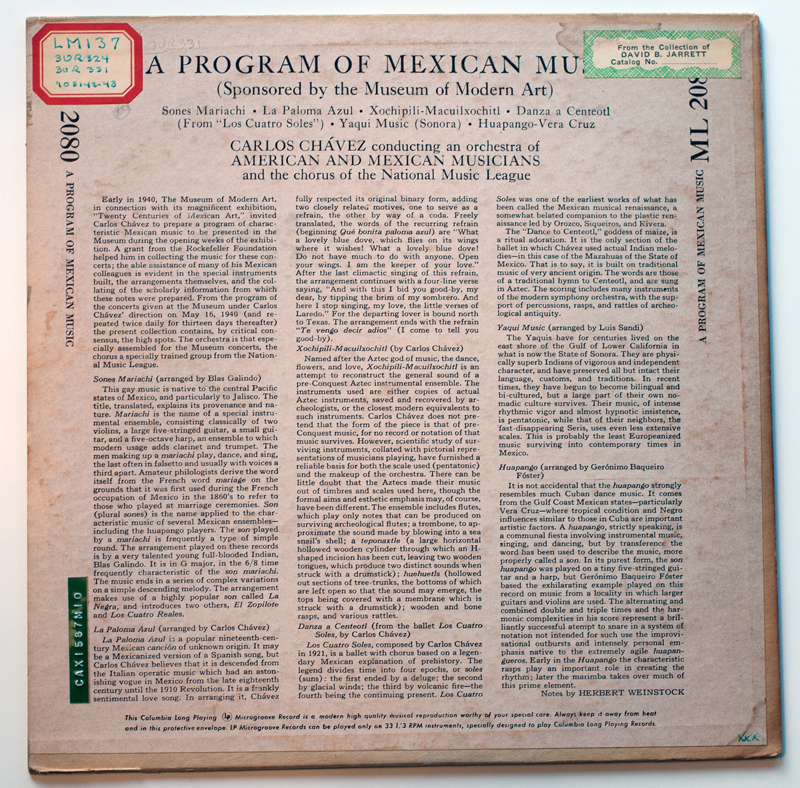 Once again though i am puzzled to see that, as with the William Tell record, apparently there are (at least) three different variations of this record also. 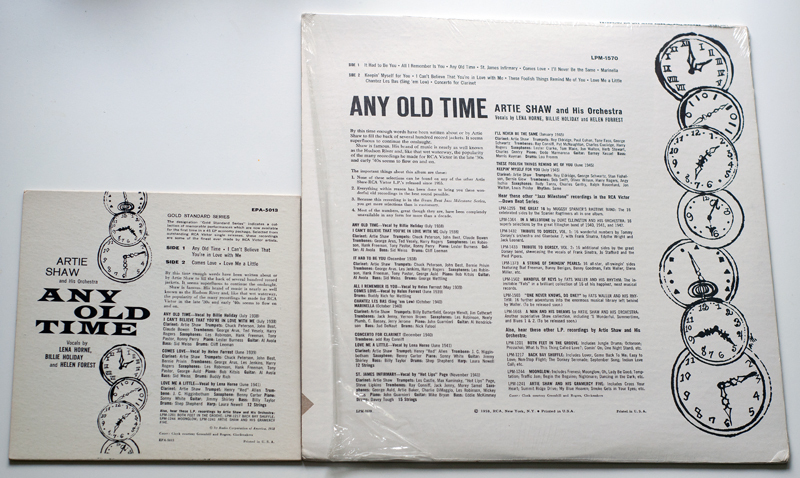 There is of course the LP and then this EP with the catalogue number EPA-5013, but looking at Frank Edwards blog i was surprised to see his 7″ had a completely different catalogue number – RPX 1308. Would love to hear my fellow WCCC members thoughts on this. It would seem though that i still have one more of these to find. The condition is very good, close to great i would say. One thing that i noticed though was that the quality of the actual photo on the front cover is noticeable worse on the EP than on the LP. 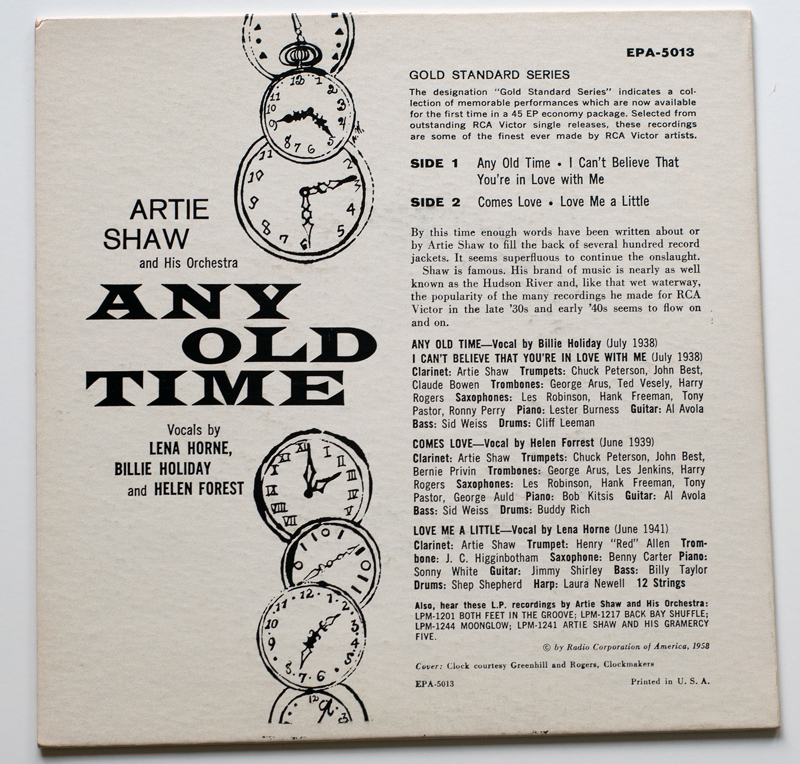 The coloring of the “Artie Shaw” on the front is also a little bit different, red on the LP and pink on the EP. The front cover isn’t that interesting though, it’s what on the back the counts. The design on the back is bascically the same. 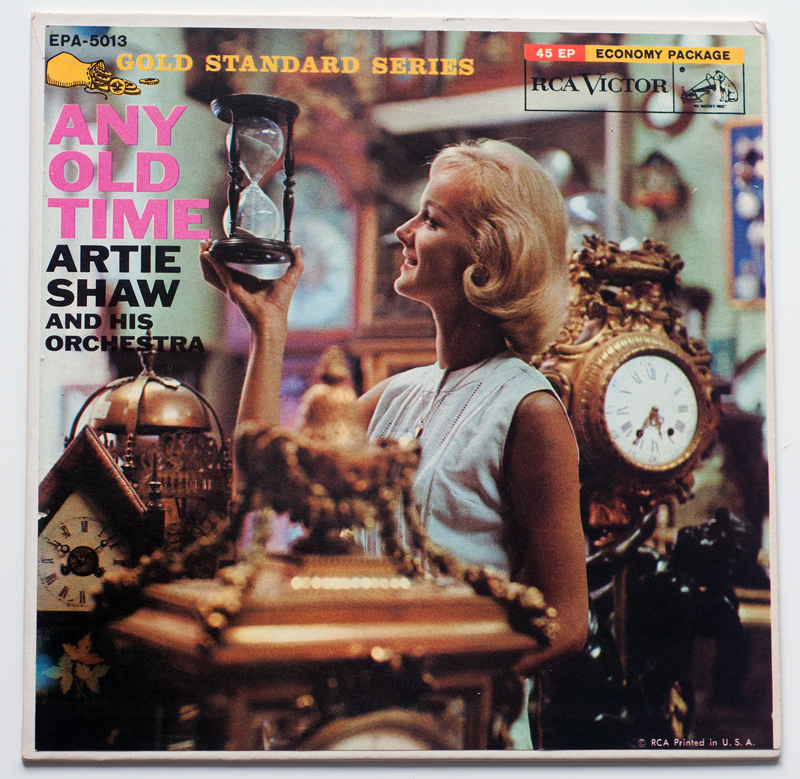 The only difference is that on the LP the chain of clocks runs in a straight line along the right hand side, and on the EP the chain is chopped of in the middle and positioned more in the center. They also switched the order slightly, on the EP the bottom three clocks from the LP is on the top and vice versa.